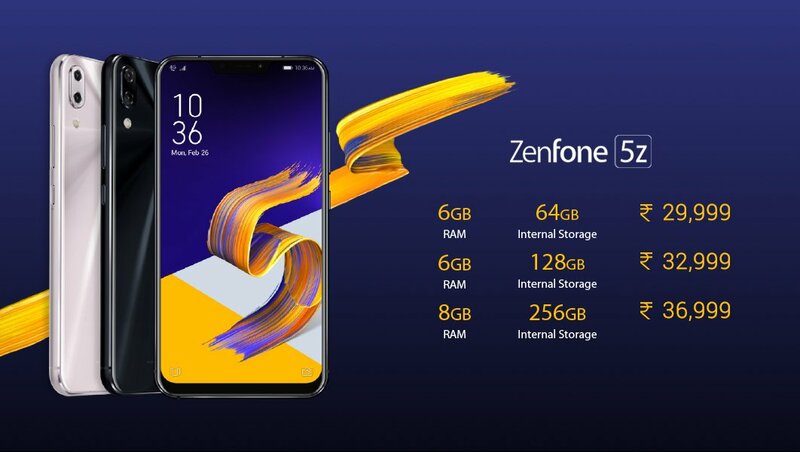 Asus has finally launched the Zenfone 5Z in India as a Flipkart Exclusive smartphone. Asus has started pricing its phones aggressively. 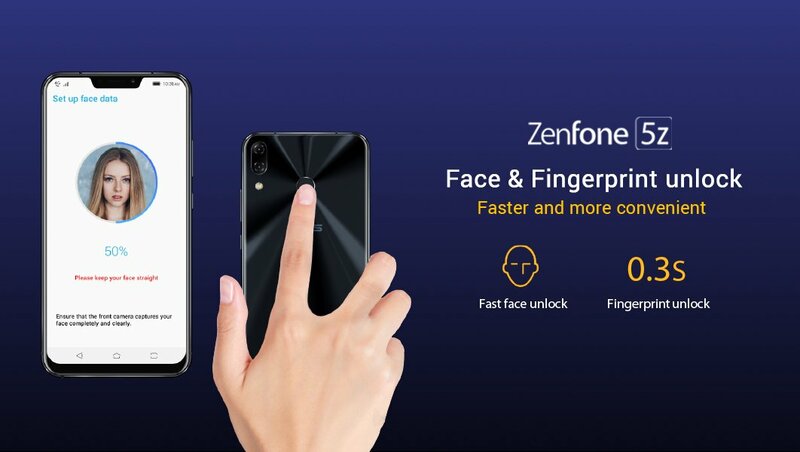 We saw this when the Zenfone Max Pro M1 launched in India & today, the same was seen with the Asus Zenfone 5Z. It is a high-end flagship from the company that will compete with the likes of OnePlus 6 and the Mi 8. The pricing of the phone was revealed yesterday as the device got listed on Flipkart with all the variants. Soon, Flipkart took down the listing, but we already had the screenshots. 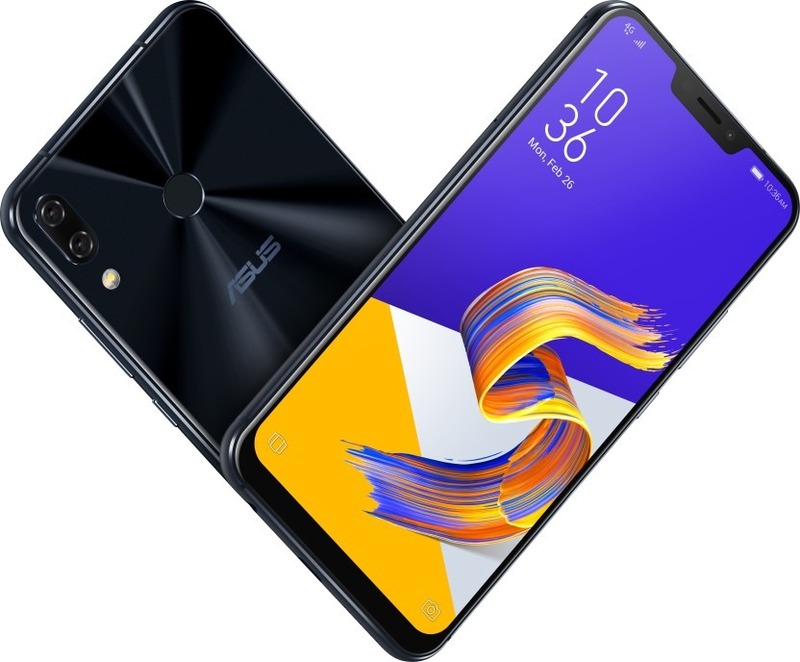 Talking about the design, the Asus Zenfone 5Z features a 19:9 display, thanks to the minimal bezels all around and a notch on top. The notch is smaller than the one on iPhone X which is something we expect since there are no special sensors for Facial recognition. Just like every other smartphone with a notch, there is a bottom chin. 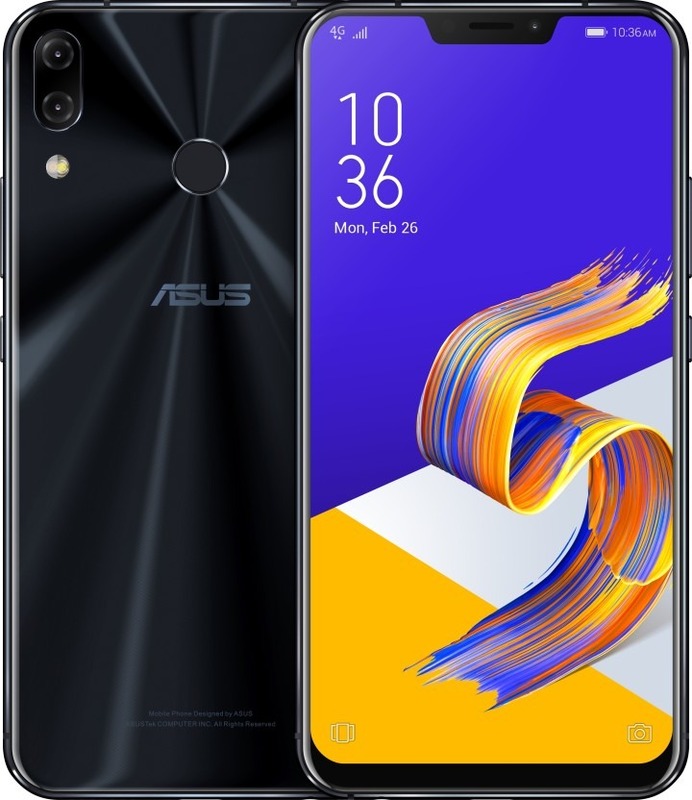 On the rear, the Zenfone 5Z has a glass panel with Asus’ well-known concentric circles design. The vertical dual camera setup on the back is placed on the top left, and there is also a rear-facing fingerprint reader. The volume rockers are placed on the right and below them is the power button. On the left, there is the hybrid SIM slot. There are Triple internal microphones with ASUS Noise Reduction Technology. 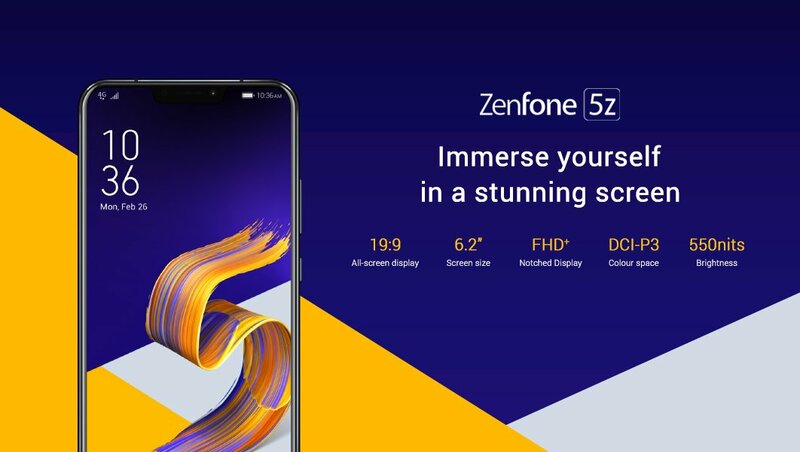 Coming to the specifications, the Asus Zenfone 5Z has a 6.2-inch 19:9 Full-HD+ display with 96% NTSC color gamut, DCI-P3 & brightness of up to 550 nits. So, outdoor visibility should be pretty good. There is Corning Gorilla Glass protection as well. 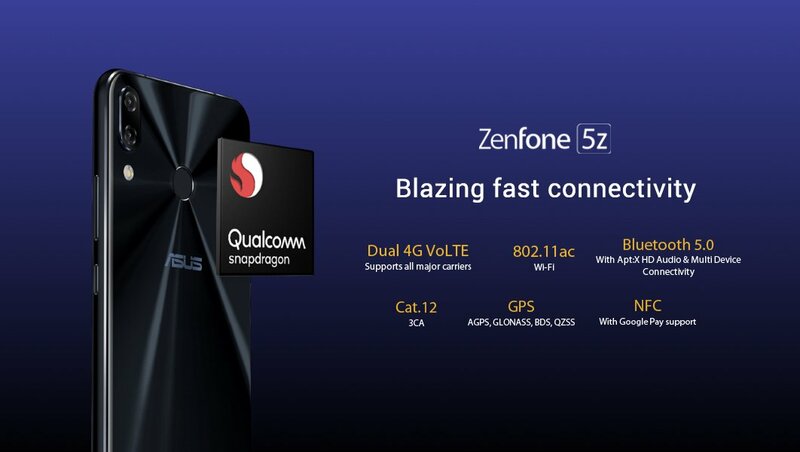 The phone is powered by the 2.8GHz Qualcomm Snapdragon 845 chipset along with Adreno 630 GPU, 6/8GB LPDDR4X RAM and 64/128/256GB UFS 2.1 internal storage. Snapdragon 845 is right now the best smartphone chipset that Qualcomm makes, and it is manufactured with the 10nm process. There is also a Multi-Core AI engine inside. Talking about the cameras, there is a dual camera setup on the rear. The primary rear camera is a 12MP IMX 363 sensor with f/1.8 aperture, 4-axis OIS, 3-axis EIS, 0.03s dual pixel PDAF, 1.4µm pixel size and up to 4K 60fps video recording. The secondary rear camera is an 8MP wide-angle (120°) camera with f/2.2 aperture. 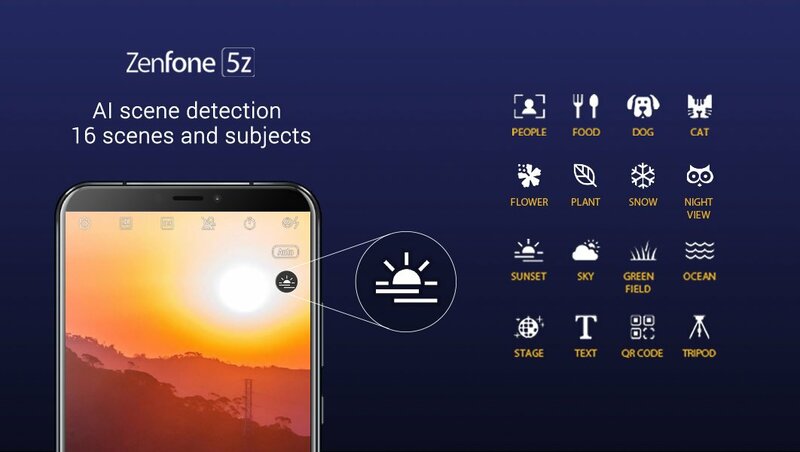 The Asus Zenfone 5Z features some AI camera features like AI Scene detection that detects 16 scenes and subjects and adjusts the camera settings according to the scene. There is AI photo learning, Real-Time Portrait, and Real-Time Beautification as well. 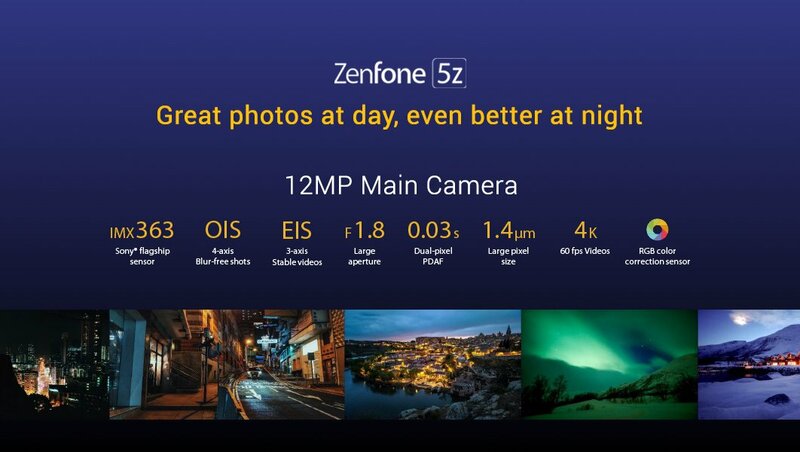 On the front, the 5Z has an 8MP camera with f/2.0 aperture. The battery under the hood is a 3,300mAh unit, and the phone supports Qualcomm Quick Charge 3.0 via USB Type-C Port. For battery protection, there is AI charging that limits or slows down the charging if you are not using the phone. For Music Lovers, the phone has a dual smart AMP and dual 5-Magnet speakers (one on the bottom and other within the earpiece). Android 8.0 Oreo runs out of the box with the ZenUI 5 on top. 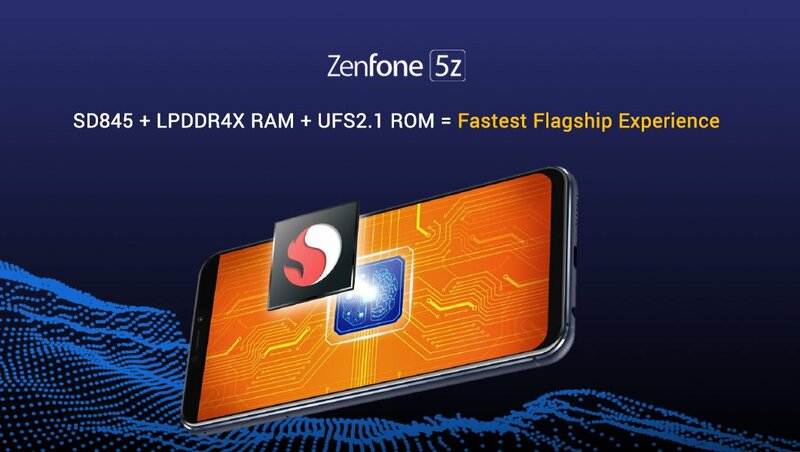 The Asus Zenfone 5Z is a dual SIM smartphone and supports microSD card, thanks to the hybrid SIM slot. Other features include Dual 4G VoLTE, 802.11ac WiFi with 2×2 MIMO, Bluetooth 5.0 with Apt:X HD Audio streaming, Cat.12 3CA, GPS, NFC, etc. The sale is happening on July 9 at 00:00 Hrs on Flipkart. There are also a lot of exciting offers like ₹3,000 off with ICICI debit and credit cards, No Cost EMIs from ₹3,334/month, ₹2200 Instant Cashback and up to 100GB Free Data on ₹198/299 plan with Jio, etc.